Feels so good to be back to making videos. It seems like forever since I sat down and created a card. 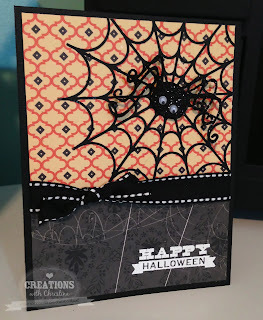 I know today is normally Stampin' On Friday but I really wanted to make some halloween cards and since I don't have many halloween themed stamps I decided to play with my cameo instead. Ready for today's video? It's a bonus video with two (yes two) cards...Enjoy! Here is a photos of the first card. 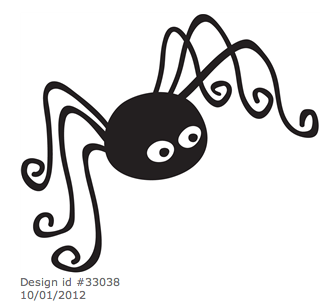 That spider is just so darn cute. 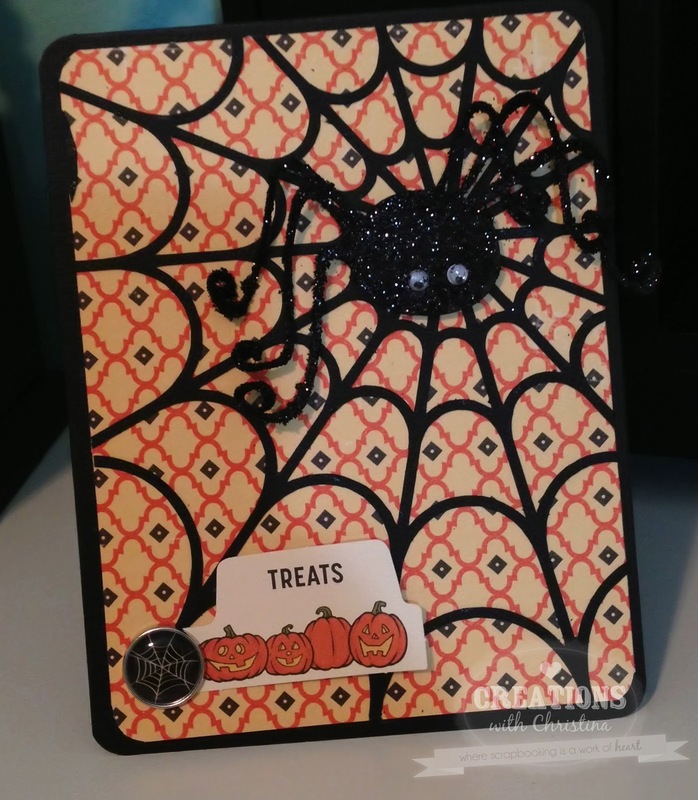 Here is a list of supplies used to make this card. and the supplies for this card. And now for the two images I used on these two cards. I hope you enjoyed today's video. Aren't you loving your cuts with the Cameo? Me too! I do oh so much love everything about the cameo. So much fun. YAY!! 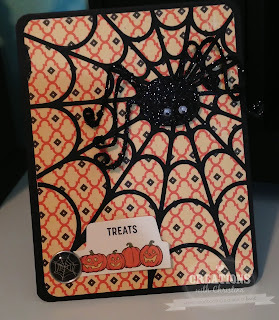 This card is tho thuper thpectacularly thpooky cute (hee hee...my nephew speaks with a lisp and I LOVE to hear him say words with "S" in them ♥♥) I think I need these cuts..hhhmmm Is it 4:45 yet? lol. Hope you have a fabulous day sis!!! How sweet sis. smooches. Love ya my twinster. 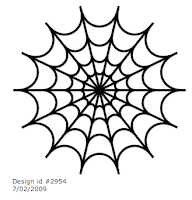 Love the delicate spider and its web. Love it. I had created my own custom file before they had that setting. I use the following settings 4, 31 and a blade of 4. 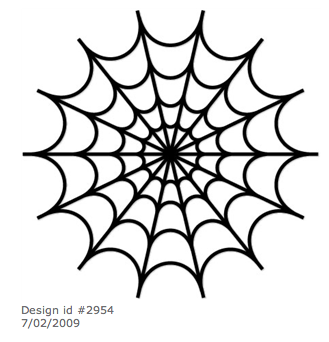 If you are doing something really small like the smalled spider and web I would double cut that one with a lower speed. Love the cards. 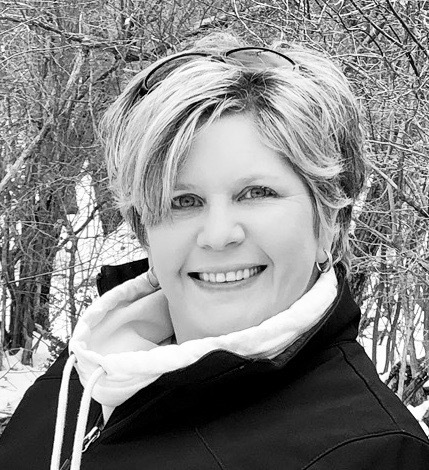 So happy you are feeling better! Those small areas are so hard to glue down for me, so to solve that problem I use spray adhesive. I keep a box in my scrap room and spray in there. It works great :) I really love your creations and look forward to your videos. I would love to see how the Cameo cuts. Will you film it in one of your videos please? I am curious. I always learn so much from you! Thanks. Great job, Christina! I love them both. I am so happy that you are doing videos with your Cameo! I love your videos and I love my Cameo! Thanks for sharing. Now, I am off to the Silhouette store to get those shapes! LOL! Yea, Cameo projects! 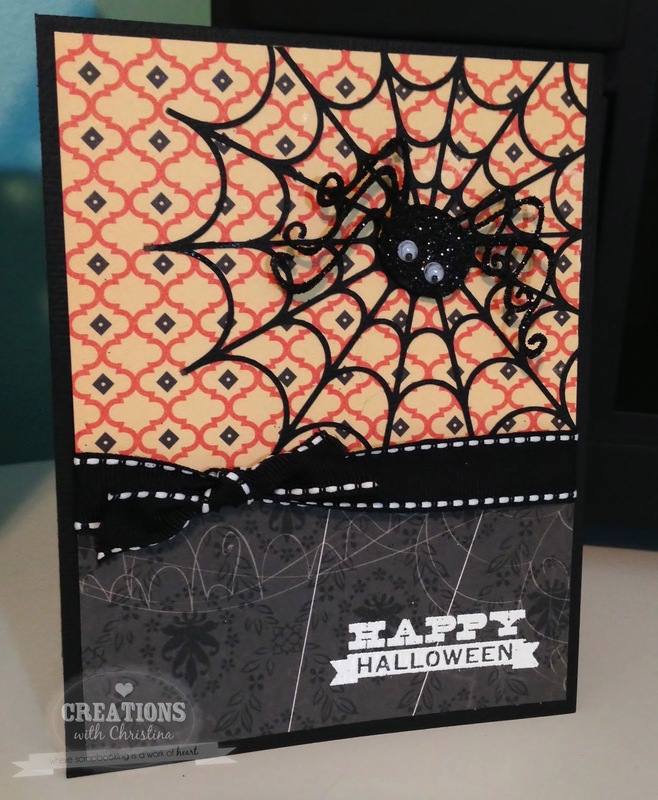 Super cute cards, love the intricacy of the spider web.